There’s quite a few blogging platforms which you can use to quickly create a blog website. It is very useful in the sense that the owner of the blog site does not need to have any knowledge in creating a website such as registering a domain, signing up for a webhost, updating the name server, installing and configuring FTP client software, uploading files and etc. With a blogging platform such as Blogger, all you need to do is sign up for a free account, choose a subdomain name, select a design from the available templates and start writing with a WYSIWYG editor. Blogger is owned by Google and is one of the most used blogging platforms today. You might have come across a Blogger site that shows you a content warning “The blog that you are about to view may contain content only suitable for adults. In general, Google does not review nor do we endorse the content of this or any blog. For more information about our content policies, please visit the Blogger Terms of Service“. Clicking the “I do not wish to continue” button will bring you to Blogger’s main webpage while clicking on “I understand and I wish to continue” will allow you to access the website. There is no way to manually bypass the content warning and head straight to the website because if you look at the URL, the guestAuth query string comes with 78 random characters. Fortunately it is still possible to automatically skip the blogger content warning with any of the 3 methods below. If you are the owner of a blogger website that is showing the content warning message and you are very sure that your website does not contain adult content, you might want to check the Blogger settings to make sure that you didn’t misconfigure the adult settings. Visit Blogger Dashboard and access the Settings page for your blog. 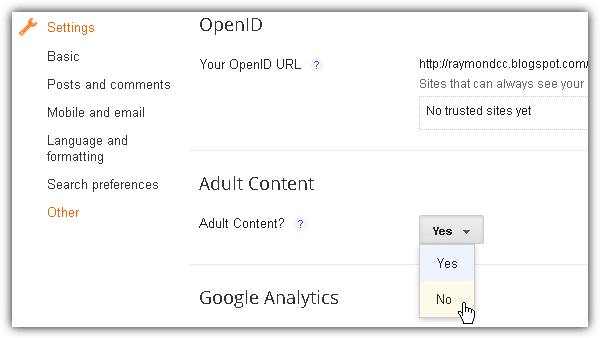 Go to Other and check the Adult Content settings, making sure that No is selected. If you are just a visitor and are annoyed by the content warning that you get every day from the blogger websites that you normally visit, you can easily bypass the content warning and head straight to the webpage by a userscript called “Blogger Content Warning Skip“. Before you can install the Blogger Content Warning Skip userscript, you must first install Greasemonkey if you’re using Firefox, Tampermonkey for Chrome or Violentmonkey for Opera. 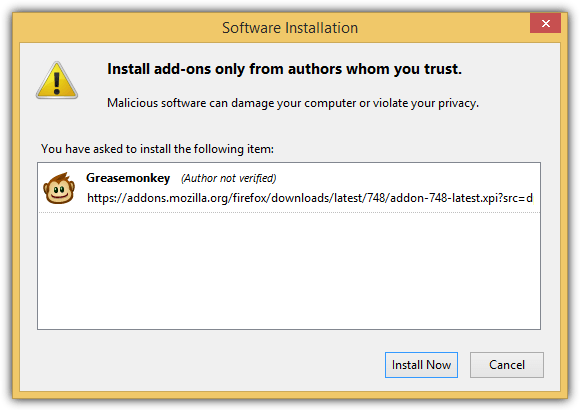 Restart your browser after installing the Greasemonkey extension. Then head over to this GitHub page and click on the Raw icon where Greasemonkey will ask for your confirmation on the installation of the Blogger Content Warning Skip user script. Click Install and you should see a popup message informing you that the “Blogger Content Warning Skip” installed successfully. You will now no longer need to click on the “I understand and I wish to continue” or even see the content warning page anymore. Basically what this user script does is it automatically help you click on the button which is why you’ll see a page being flashed for a second before the website starts loading. If for some unknown reason the “Blogger Content Warning Skip” script doesn’t work for you, here is an alternative script called “Blogspot content warning auto-skip” that you can try. We’ve tested this script that contains only 1 line of code and it works as well. There is another userscript called Linx Amender by TimidScript that claims to have the ability to skip the content warning page by automatically clicking on the “I understand and I wish to continue” button, but unfortunately it does not work even after enabling it from the settings (F9) window. Thanks for the guide, helped me bypass it. This userscript works but, if you notice, you do actually see the warning for a split second. Maybe when it’s updated this will be fixed. It is impossible to untouch the objectionable content on internet. Anyway thanks for the nice trick! !